response from property - Feb 12, 2019 Thank you for the AWESOME review. We appreciate you as a resident. Your happiness is our greatest reward. response from property - Jan 30, 2019 Thank you for the kind words. We work hard to try and provide a wonderful place for our residents. Practically Perfectsubmitted by Michaela M. - Dec 23, 2018 |Recommended: YesBeing a college student this is just far enough from campus to be close enough with the ORBIT just across the street. Love the staff. I've never had a loud neighbor , or not loud enough to hear anyways. response from property - Jan 14, 2019 Thank you so much! Everything is kept nice and cleansubmitted by Tammy B. - Dec 03, 2018 |Recommended: YesVery nice apartment and amenities. response from property - Dec 04, 2018 Thank you so much!!!! The Revsubmitted by Joshua F. - Nov 07, 2018 |Recommended: YesQuiet, clean, good facilities, good location. Best places I’ve lived so farsubmitted by Sierra J. - Nov 01, 2018 |Recommended: YesPeople in office are super nice and willing to help you out, even after you sign the lease. They are friendly and wave to you and make you at home. Grounds are clean and you get stainless steal appliances which is great for the price range in this neighborhood. Great place to live. Close to frys and Walmart, freeway access close by. The grounds are sooo quiet. You don’t hear your neighbors. response from property - Jan 30, 2019 Thank you so much. Im glad you love your new home! response from property - Oct 04, 2018 Thank you very much! We are glad you are happy! response from property - Jan 30, 2019 Thank you so much we are so happy to hear that! Move out reviewsubmitted by Susan M. - Aug 02, 2018 |Recommended: YesI lived here for 5 years when it was called The Park in Tempe, but during my last year Barron Properties took over and changed it to The Rev. Due to renovations I was given a year to move out of the unit and move into another unit. Due to the rise in the price I couldn't afford to stay, but the staff still treated us with the utmost respect. They have done numerous changes to improve it They renovated the pool area by putting in brand new patio furniture, installed brand new gas grills, and put in a fire pit. The Rev renovated the club house and turned it into a brand new fitness center with new equipment, and your own security code to get in. They repaved and repainted the parking lot, the buildings and doors to look more attractive, and the car ports. They also added flowers to the landscape to make it more attractive. I think The Rev is a very comfortable place to live. Utilities are included and works really well. I recommend The Rev to for anyone to reside.  The Rev Apartmentsubmitted by Jagadish D. - Jul 23, 2018 |Recommended: YesPretty Good. Office peoples are excellent in response and maintenance quality are high. Magnificentsubmitted by Gregory B. - Jun 30, 2018 |Recommended: YesThis is a superb place to live. The apartment is fantastic and what little maintenance that needed to be done, the crew was on it, and very pleasant I might add. The office staff always greet me with a smile and kind word. Their professionalism is way above anywhere else where I lived. Nice place to live that allsubmitted by Bridget S. - Jun 30, 2018 |Recommended: YesTHe REV is a nice place to live, not much else is going on. it just a nice place to live.